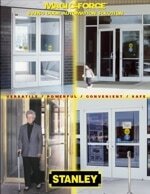 A United Automatic Doors & Glass proudly offers Stanley Access full or low engergy swing doors. The industry leading STANLEY Magic-ForceTM is the operator of choice for professionals who trust its long-lasting durability and dependable product performance that isn't measured in years, but in decades. 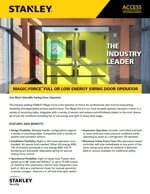 The Magic-Force is our most versatile operator because it comes in a variety of mounting styles, integrates with a variety of sensors and systems and effortlessly adapts to the most diverse set of job site conditions including full or low energy and light to heavy duty usage. 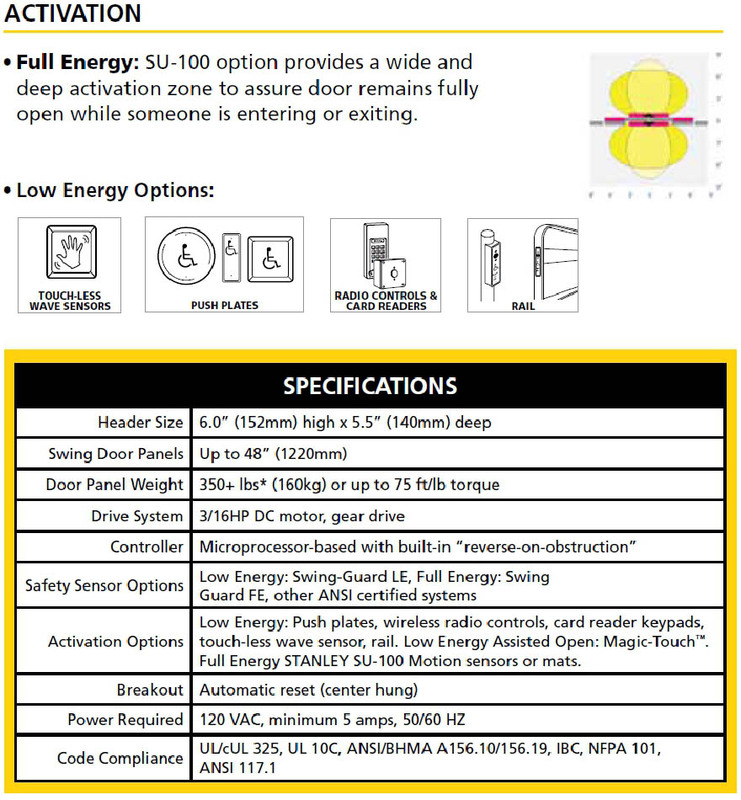 Powers door panels up to 48” (1220mm) wide and 350lbs+** (159 kg) or 75 ft/lb torque. Have a question for one of our trained technicians? Ask a Tech here.